Patients who have been diagnosed with type II diabetes require serious intervention to help them control their blood sugar. While medication can certainly help, lifestyle changes – specifically, diet and exercise – are essential to good blood sugar control. Unfortunately, by the time many patients are diagnosed with type II diabetes, they have already developed medical conditions that can make exercise difficult. They may be obese, have begun to develop or have already developed full-blown diabetic neuropathy, or have developed metabolic syndrome, for example. Because of that, it may be neither safe nor effective to expect patients to begin to undertake exercise on their own. 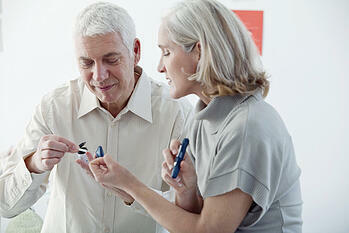 This is where physical therapy can help with diabetes management. Physical therapists work with diabetic patients frequently, so they are experienced in handling any difficulties and concerns patients may have that might otherwise keep them from exercising. Because they are so familiar with diabetes management through exercise, they can foresee and circumvent just about any problem that may arise when they construct patients' fitness programs, thus making physical therapy even more effective and preventing injury. If patients are out of shape, or have neuropathy that makes it difficult to feel, to balance properly, or experience cardiovascular problems, or significant obesity, for example, they may actually be afraid to exercise – and rightly so. If patients don't know how to exercise or haven't done so for a while, they could harm themselves by trying to do too much too soon. Just as importantly, if they have comorbidities that make unsupervised exercise dangerous, diabetes management through exercise is actually contraindicated – unless they can do so in a safe, supervised and controlled environment like that provided through physical therapy. Physical therapists can work with patients to develop customized programs that are specific to their particular health conditions and fitness levels. Patients with neuropathy, balance problems, general lack of conditioning, arthritis, and obesity, for example, can't simply undertake a "one-size-fits-all" approach to exercise. They can, however, work closely with a physical therapist and follow an exercise program that takes these conditions into consideration, gradually improving health and fitness. These programs can also be geared to work on patient-specific difficulties like balance, muscle strength, and general conditioning. Adjunct treatments like anodyne and aquatic therapies and massage may be incorporated into physical therapy sessions to further alleviate symptoms of neuropathy and other conditions like arthritis. This can help patients continue with exercise programs and conditioning when they otherwise may not be able to. Finally, physical therapists work closely with the patient and with other medical team members, such as nutritionists, dietitians, and physicians to make sure the proper medications diet and other lifestyle factors are being appropriately used along with physical therapy to control patients' blood sugar levels, improving symptoms and maintaining good health. Diabetes can be a difficult disease to manage, but physical therapy can help. Patients can manage blood sugar levels, diabetic symptoms like neuropathy, and pain through exercise. Physical conditioning and thus conditions like metabolic syndrome can also improve with a physical therapy program. A focus on physical conditioning through physical therapy can also help improve mood, a natural and effective way to simply "feel better." Physical therapy is a safe, noninvasive way to help with diabetes management, along with medication and diet. 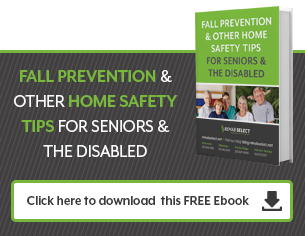 It can be safe and effective in a controlled environment such as a skilled nursing facility.